Blanket and Shrink Wrap, Professional Delivery and Currier Service, local to long distance. 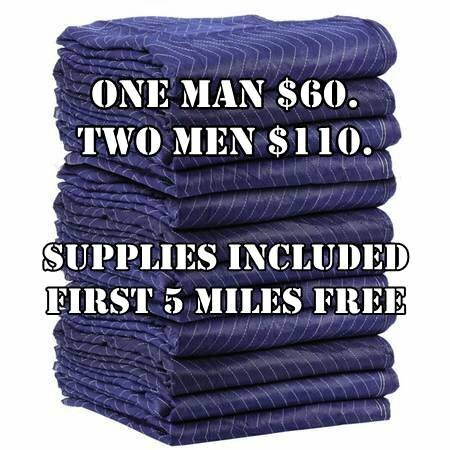 Discount Packing Service & Labor with all Moving Supplies included. Established in 2015. 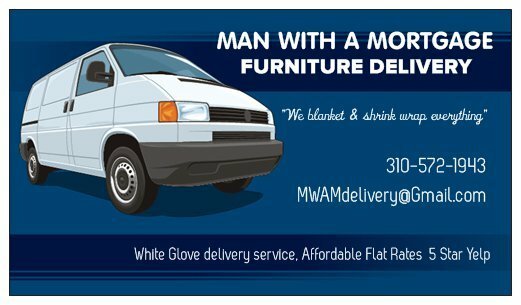 I founded the most popular moving company in Los Angeles 14 years ago called Man with a Truck, and sold it two years ago. It became so large it got away from our core business which is white glove delivery. So I'm bringing that back to my neighbors in Los Angeles. I am who you were hoping to find when you looked up delivery. I trained half of the movers in this city. Why would you use anyone else? I worked with Ian (goo.gl/AKoljl) three years ago, and called him again when I needed a queen bed moved from my place to my mom's condo. He encouraged me to contact Mark the 'Man With a Mortgage.' Mark and Arnie were great. They arrived right on time, wrapped the mattress and moved the bed out super fast and carefully, were polite and friendly, and got the whole job done (bed set up at my mom's place) in under an hour. Would definitely hire them again and highly recommend. Mark has moved very valuable belongings of mine twice now. I actually owe him a thousand reviews. Such wonderfully priced service for a smiling face, supreme customer service and quality/quick move. Highly recommend his services as he is diligent and dedicated to an excellent moving experience! Great service. Mark moved a large recliner for me today. He wrapped it and transported it perfectly. He was punctual, professional, friendly and affordable. Highly recommend using him for your moving/furniture delivery needs!